SEAL Team 2 photographs of Louis A. "Hoss" Kucinski, James. 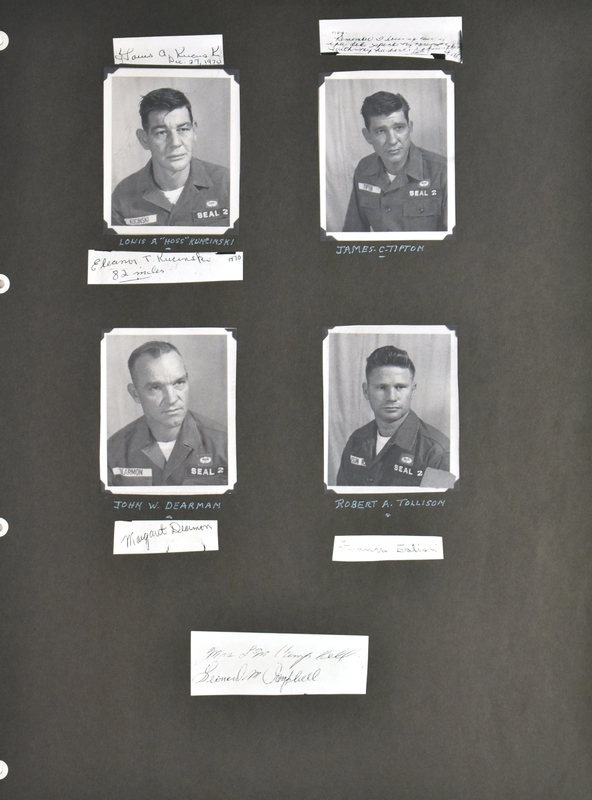 C. Tipton, John W. Dearmon, and Robert A. Tollison; photocopies of handwritten notes.